*Las Vegas, Nevada – UFC light heavyweight champion Jon “Bones” Jones looks to extend his historic reign over the talented 205-pound division Saturday, Sept. 27 at the MGM Grand Garden Arena in Las Vegas when he takes on bitter rival and No. 2 contender Daniel Cormier. 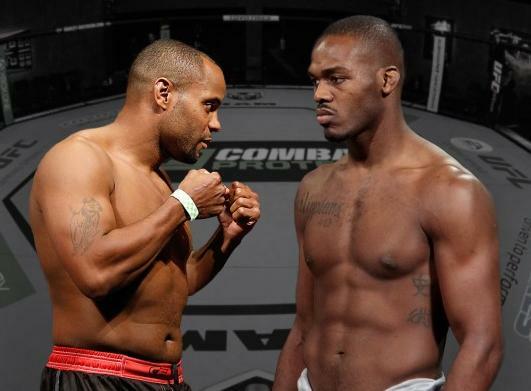 Jones will look to make his record eighth light heavyweight title defense against the two-time U.S. Olympian Cormier. In addition, Irish phenom Conor McGregor(15-2, fighting out of Dublin, Ireland) will meet sixth-ranked Dustin Poirier(16-3, fighting out of Coconut Creek, Fla.) in a featherweight showdown that could have major title implications. McGregor is coming off a first-round knockout of Diego Brandao and will be looking to stay unbeaten inside the Octagon® against Poirier, one of the most devastating finishers in the division who has won nine of his last eleven. No. 7-ranked Bobby Green(23-5, fighting out of Fontana, Calif.) vs. No. 14-ranked Jorge Masvidal(27-8, fighting out of Miami, Fla.) in a lightweight battle. Two top middleweights clash as No. 6-ranked Tim Kennedy (18-4, fighting out of Austin, Texas) faces No. 11-ranked Yoel Romero (8-1, fighting out of Coconut Creek, Fla.). Former UFC bantamweight champion, Dominick Cruz(19-1, fighting out of San Diego, Calif.) makes his long awaited return to the Octagon as he meets No. 5-ranked Takeya Mizugaki (20-7-2, fighting out of Kanagawa, Japan). Hard-hitting welterweight Patrick Cote (21-8, fighting out of Montreal, Quebec Canada) vs. electrifying kickboxer Stephen Thompson (9-1, fighting out of Simpsonville, S.C.). Welterweight striker John Howard (22-9, fighting out of Boston, Mass.) vs. gritty veteran Brian Ebersole (50-16-1, 1NC, fighting out of Phuket, Thailand). Lightweight rising star Jon Tuck(8-1, fighting out of Phoenix, Ariz.) vs. submission specialist Kevin Lee (8-1, fighting out of Las Vegas, Nev.). Tickets for UFC® 178: JONES vs. CORMIER, presented by MetroPCS, are on sale now and are priced at $800, $600, $400, $250, $125 and $75 (prices do not include applicable service charges). Tickets are available for purchase online at www.ticketmaster.com, by phone at (800) 745-3000 and will be available at the MGM Grand Garden Arena box office. Ticket sales are limited to eight (8) per person. VIP package: The UFC VIP Experience packages together your tickets with behind-the-scenes access to the official weigh-ins, backstage tours, meet and greet and autograph signings with top UFC stars, Q&A sessions, and photo opportunities, access to an in-arena VIP party room, a chance to hold the championship belt inside the Octagon® and more!